“It’s been a loooong year.” As a business owner, does that sound like you? You’ve probably thought this after you realize that you’re ending the year exactly where you started. No matter what you try in order to grow your business, improve operations, or engage your team – everything goes wrong and your situation goes from bad to worse. What’s more, you don’t know why whatever you touch has the opposite effect of your goal. You focus on sales and then lose your current client roster. A new operations plan wreaks havoc on production. Nothing you think of works. What then? No matter what you try, your business operations just can’t thrive. You’re exhausted. You’re employees are frustrated. Your financials are worse for the wear. You have no idea what to do next to achieve your vision. You’re in a stand-off between your goals and your reality. A commercial food supply company was at a standstill. After a tumultuous and frustrating year that had followed many others like it, the father and son leadership team of the company sat down to review what had happened. They reached a point where enough was enough. They were working far too hard year after year to only go backwards in growth! Both father and son had a very clear vision of where they wanted to go, but no matter what they did, they couldn’t seem to break through any barriers to achieve their goals. After evaluating past financial, operational, personnel, and overall management data of the company – they had zero answers on how to fix their situation and bridge the gap to their goals. They couldn’t make sense of what history was telling them. Only one thing became clear; if they kept running things the way they were, they would keep having long, hard, and unsuccessful years until they didn’t have a business anymore. This future was not acceptable to either of them. They would not let that be the fate of their family business. They were resolved to fix things, but there was a problem. The father and son had no idea WHAT needed to change in order to improve the health of the company. In fact, they weren’t even sure what had gotten them into the mess in the first place! They knew that they were in far too deep to be able to guide themselves out. They were running a family business and had been for years. Neither were in a position that allowed them to take a step back and properly diagnose what was going wrong. They needed an outside perspective, a trusted third-party opinion, to get true feedback on the business performance, or, lack thereof. The father and son team brought on Brad Farris and Anchor Advisors, Ltd. to give a full report-card and plan of attack on the company standing. The firm’s experience with family-sized businesses made Anchor Advisors the clear choice. The Anchor Advisors team conducted a full assessment of the company. They studied all aspects of the business from supply chain to financial processes to the food supply market and competitor analysis. The assessment confirmed problems that leadership had long suspected and also shed light on some areas that needed attention but were not noticed before. 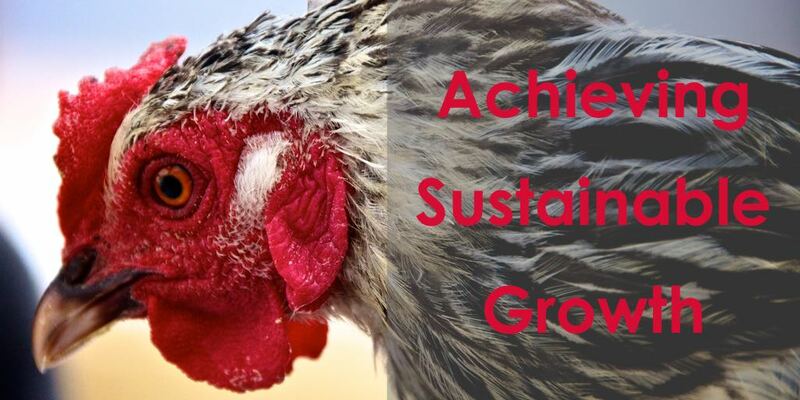 Anchor Advisors worked with the leadership team of the commercial food supply company to get laser-focused on what they wanted and how to start to close those gaps. This involved creating systems that allowed the business owners to focus on the most critical issues first and manage costs in a new way. Over about 1 year, the team implemented these changes and turned long and frustrating years into healthy and profitable ones! The father and son duo are now thriving with huge improvements in all aspects of the business. Brad’s team helped them solved a HUGE supply chain issue by opening up doors with a better supplier. How did this help? Previously, they were only able to deliver half a truckload of chicken a day. Now they were now able to send out 10 full truckloads of chicken a day. Customers noticed the increased availability of product, reliable delivery, and a more diversified product catalogue. They started to give more and more business to the food supply company. Leadership was also able to re-engage lost customers and attract larger clients with the new way of working. Furthermore, they had confidence that they could truly fulfill all the orders they received and knew how to scale as their client roster grew. Brad’s team also helped the father and son introduce a critical middle-management layer that was previously lacking. The father and son needed to be able to “work on” the business and not “work in” the business if they wanted to grow. Anchor Advisors took a heavy hand in identifying the roles needed and hiring the proper people that freed up the owners. Best of all, revenue growth is at an all-time high. The company finished last year with 40% growth in revenue and this year they are projecting another 30%-35% in revenue growth. The food supply company is now growing rapidly and stagnation is a thing of the past. Managing the company is fun as the father and son grow the small, family business, into a global, mid-sized business with a whole new set of exciting challenges!